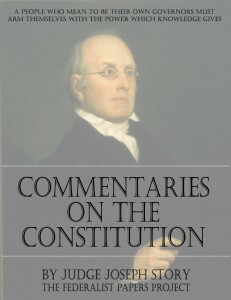 Joseph Story wrote some of the most important Supreme Court decisions during the early days of the country. 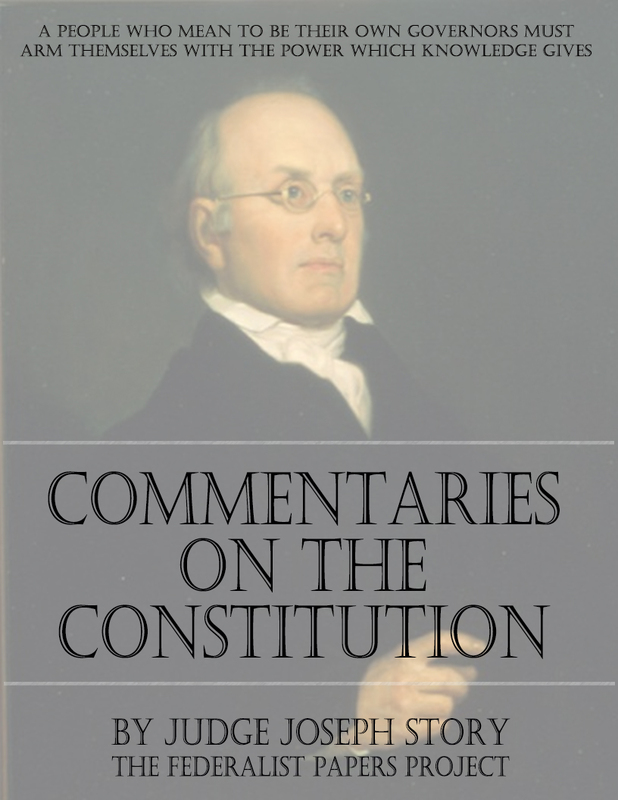 This book explores, in detail, his views of the Constitution and it provides a fascinating view of how the Constitution was viewed in the early nineteenth century. Each section is very carefully laid out, and the entire book is constructed to explain the Constitution passage by passage. The logical order and a good index make this book essential for Constitutional scholars and provide ease of use for the casual historian. 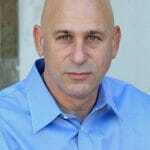 “From two great sources I have drawn by far the greatest part of my most valuable materials. These are. The Federalist, an incomparable commentary of three of the greatest statesmen of their age and the extraordinary judgments of Mr. Chief Justice Marshall upon constitutional law. The reader must not expect to find in these pages any novel views, and novel constructions of the Constitution. I have not the ambition to be the author of any new plan of interpreting the theory of the Constitution, or of enlarging or narrowing its powers by ingenious subtleties and learned doubts. My object will be sufficiently attained, if I shall have succeeded in bringing before the reader the true view of its powers maintained by its founders and friends, and confirmed and illustrated by the actual practice of the government. The present work is an abridgment, made by the author, of his original work. It presents in a compressed form the leading doctrines of that work, so far as they are necessary to a just understanding of the actual provisions of the constitution. Many illustrations and vindications of these provisions are necessarily omitted. But sufficient are retained to enable every student to comprehend and apply the great principles of constitutional law, which were maintained by the founders of the constitution, and which have been since promulgated by those, who have, from time to time, administered it, or expounded its powers.